A single dose of dextrose gel, rubbed inside a newborn’s mouth an hour after birth, can lower their risk of developing neonatal hypoglycaemia, according to a randomized study published in PLOS Medicine by Jane Alsweiler from the University of Auckland, New Zealand, and colleagues. 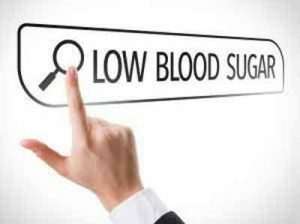 The study, designed to investigate the optimal dose and timing for dextrose, is novel in testing dextrose as a preventive rather than treatment for low blood glucose. Nearly one in three infants is at risk for neonatal hypoglycaemia (low blood sugar levels), which raise a baby’s risk of impaired nervous system development. Other than formula feeding, which can have detrimental effects on establishing breastfeeding, there are no established methods of preventing hypoglycemia in at risk babies those born to mothers with diabetes, delivered preterm, or with a small or large birth weight. However, oral dextrose gel has been shown to be effective in treating neonatal hypoglycaemia once it develops. In the new study, the researchers randomly assigned 416 babies at risk of hypoglycaemia to receive either a standard (200 mg/kg) or high (400 mg/kg) dose of dextrose gel or placebo gel, massaged into the inside of their cheeks, either once or four times after birth, before feeds. Of 277 babies who received any dose of dextrose, 114 (41%) developed hypoglycaemia in the first 48 hours of life, compared with 72 of 138 (52%) babies who received placebo gel. (Relative risk 0.79; 95% confidence interval [CI] 0.64-0.98, p=0.03). Although the study did not find a statistically significant difference between dextrose dosing groups, the lowest risk of hypoglycemia compared to placebo was seen in babies who received one dose of 200 mg/kg dextrose (RR 0.68, 95% CI 0.47-0.99, p = 0.04). Although rates of overall NICU admission were similar between groups, babies who received dextrose may have been less likely to be admitted for hypoglycaemia (RR 0.46, 95% CI 0.21-1.01, p= 0.05). Additionally, rates of breastfeeding and parental satisfaction were similar between all groups and no babies developed hyperglycaemia (high blood sugar levels). The authors are currently undertaking a follow-up study of babies in the trial to investigate the effect of oral dextrose gel on long-term outcomes.